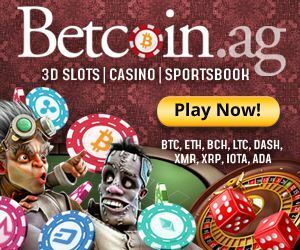 Das Ist Casino (also known as Dasist Casino) is a German language online casino site, which literally translates as “This Is Casino” launched just last year, but is already one of the top places to play your favourite online casino games using bitcoins. Das Ist Casino is officially licensed out of Curacao, and – via software from several top developers – can offer its players both mobile and browser-based instant play casino gaming. Players needn’t worry if they cannot speak German, as Das Ist Casino offers gameplay in English, Greek, Russian, and Turkish, too. If bitcoins aren’t your forte, Das Ist also accepts deposits made using euros, US dollars, or Russian roubles. This German online casino site is equipped to offer its players a fairly sizeable library of games, with titles coming from BetSoft Gaming, Endorphina, Ezugi, iSoftBet, Net Entertainment, Pocket Dice, and Soft Swiss. With a catalogue like that under their belt, Das Ist can offer you everything you could possibly with to play. Such games as you can find at their casino site include baccarat, blackjack, craps, live dealer casino games, mobile slots, poker, roulette, and of course, video poker games. Slots make up the main selection of titles at the casino, so expect to find them in number. Red hot games at this online casino include Platinum Lightning, Starburst, Casanova, Book of Pyramids, Space Wars, Aliens, Dazzle Me, as well as the progressive jackpot slots, Greedy Goblins, Glam Life, Enchanted, and It Came from Venus. Any newbie who chooses to make DasIstCasino their new home can pocket a pretty spiffy welcome bonus when they choose to register and make their very first deposit. 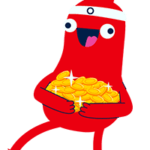 This first deposit bonus is worth up to €350 in all, or 0.5BTC, as you wish. Players can also pocket 50 free spins after claiming this 150% match offer. Those spins are valid on the Starburst, or Fruit Zen slot machines that Das Ist Casino carries. As well as the welcome bonus offers, Das Ist Casino also provides its players with the chance to VIP bonus offers. After snapping up the welcome bonus offer, any high-rolling players is free to claim a VIP bonus. This offer can see them able to bag a 100% match deposit bonus which is worth up to €1,000, as well as 300 free spins on the aforementioned Platinum Lightning slot machine game, as well as access to a whole new selection of casino rewards and bonuses. We’ve already talked about the types of currency options you have open to you when you play at Das Ist Casino. However, we have not looked at the payment methods yet. DasIstCasino accepts deposits made using VISA, MasterCard, Skrill, Maestro, and Neteller. These options have minimum and maximum deposit limits of €20, and €10,000, respectively, and offer instant transaction times. Bitcoin deposits are also instantaneous and have a minimum deposit limit which is capped at 0.00001 mBTC. Other payment methods are accepted, and although they have similar minimum and maximum deposit limits, they can take anything from 1 to 3 days to land, and some may issue small charges. For withdrawals, VISA and MasterCard transactions worth between €20 and €10,000 are completed in 1-3 days, whilst Skrill, Bitcoin, and Neteller withdrawals are completed instantly. Bank transfers can take up to 3 days, and have a minimum withdrawal limit of €300. Other options have wildly varying requirements and parameters at Das Ist Casino. There is no telephone support offered at DasIstCasino. However, live chat is a solid means of obtaining the kind of help and assistance you need. It is also available in several languages, so speaking German is not a prerequisite to obtaining assistance at this casino. FAQs and online e-form support are also available in English or other languages if you wish. Das Ist Casino does something that many other German language casinos don’t. They offer gameplay in a variety of other languages. This makes them stand out. 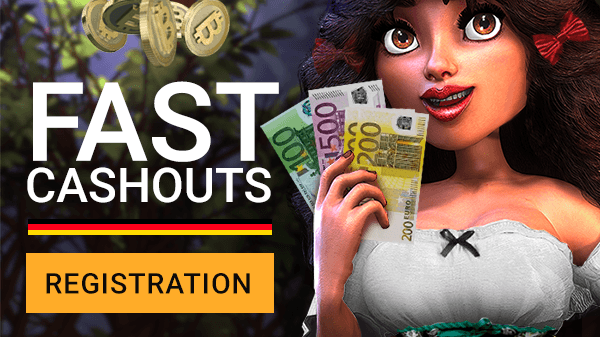 With DasIstCasino, you can have a thoroughly German online casino gaming experience, albeit in the language of your choosing. Their range of games, offers, and VIP deals, as well as decent deposit/withdrawal options, make Das Ist Casino well worth a look.